Casino Folding Bar Stools come with armrests. Very comfortable outdoor seating on Balconies, Decks and Patios. Comes in a 2-Pack carton. 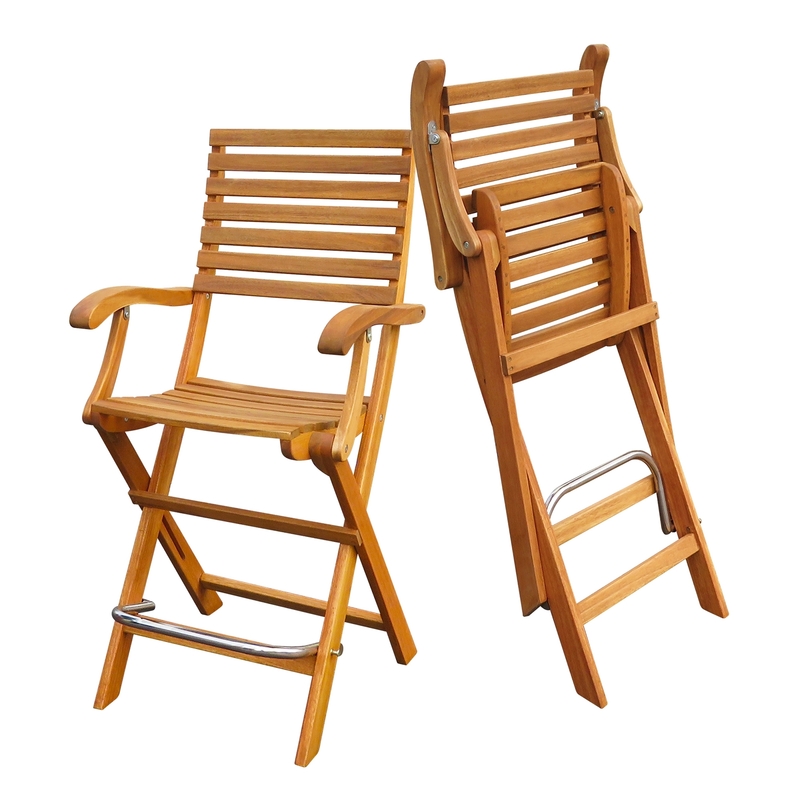 Made with Acacia hardwood which is naturally moisture resistant and ideally suited to outdoor use. Pairs well with the Stockholm & Toronto Balcony Tables. Casino Folding Bar Stools come with armrests. Comes in a Two-Pack Carton. Very comfortable outdoor seating on Balconies, Decks and Patios. 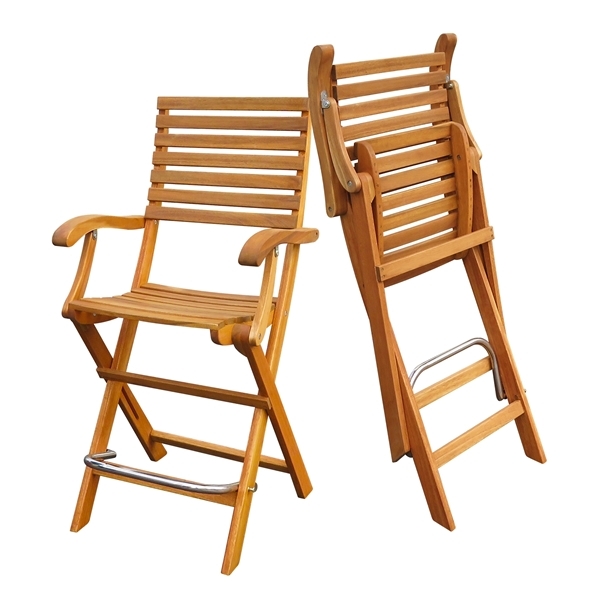 Made with Acacia hardwood which is naturally moisture resistant and ideally suited to outdoor use. Pairs well with the Stockholm & Toronto Balcony Tables.